Looping a video allows the movie to play repeatedly, and QuickTime makes video looping extremely simple for any video file on a Mac. This is a great movie playback feature for many purposes, but many users will find it particularly helpful for demonstration videos, tutorials, kiosks, or shorter video clips that are best enjoyed on repeat, like funny memes or cat videos. In the example video looped here, we’re taking a time lapse recording from an iPhone and playing it repeatedly in a loop. QuickTime Player will even loop a video that is fast forwarding or set to play at a faster or slower playback rate, so even if you set a movie to play at 32x it will still loop repeatedly at that fast forward rate. 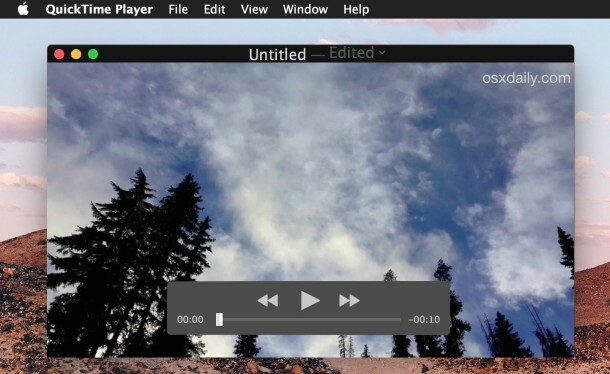 Some apps like VLC and MplayerX allow for looping forward and back and back to forward again, but QuickTime Player only allows video looping in the regular forward playback direction. Thus, when the video ends in QuickTime, it loops back to the beginning of the video and plays again from the start. There’s nothing wrong with that and that’s how most people want to repeat a video anyway, but the backward loop option is kind of nice, available in a variety of third party apps. 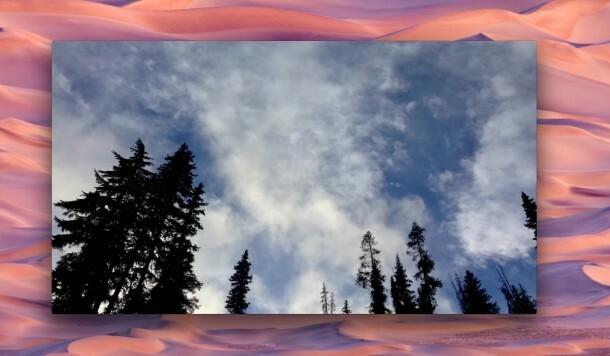 The QuickTime Player looping trick obviously requires a video to be stored locally on the Mac hard drive, or accessible through a network volume. Of course if the video you want to loop is online and accessible from the web, many web based video players allow the same playback features, and you can easily loop YouTube videos directly in the browser without any added software, and without downloading the video to the computer. I love looping videos! I am very glad my favorite video playback sites support loop! And I am glad we can do this on the Mac too with QuickTime Player. Looping videos is the best. I wish they would make the editing like QT 7 was. I hate the way QT X works to edit video. If you have Quicktime Player V7 (Pro) it still runs perfectly on the current OS releases, I have both. You can put QT in or out of loop mode by holding command L.